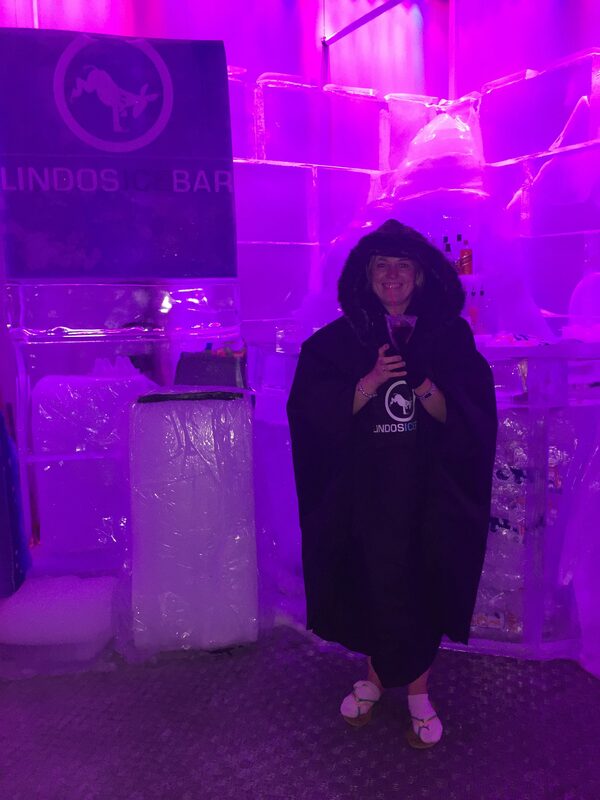 If you are planning holidays in Rhodes I would highly recommend you to visit very unusual place as for Greek Islands- Ice Bar in Lindos. 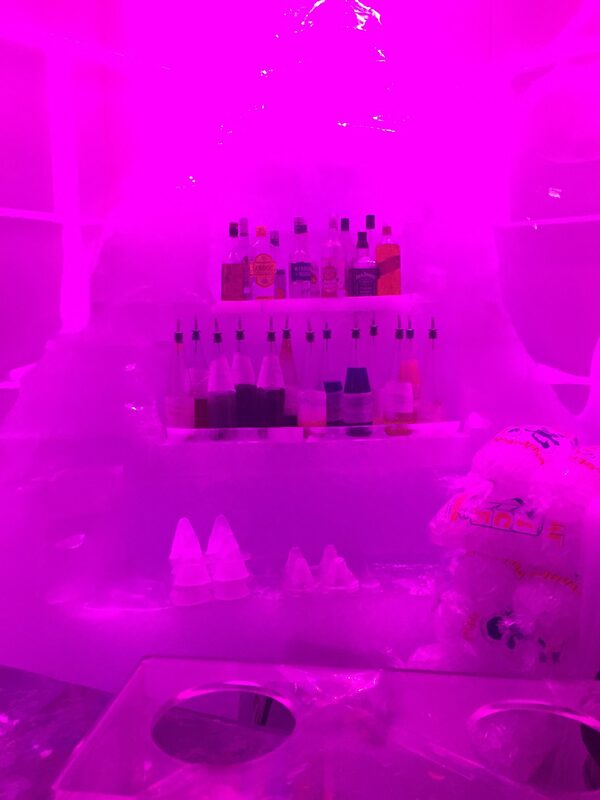 Ice Bar is of course made of ice. You can imagine what shock we went through from 38 degrees outside to minus 6. 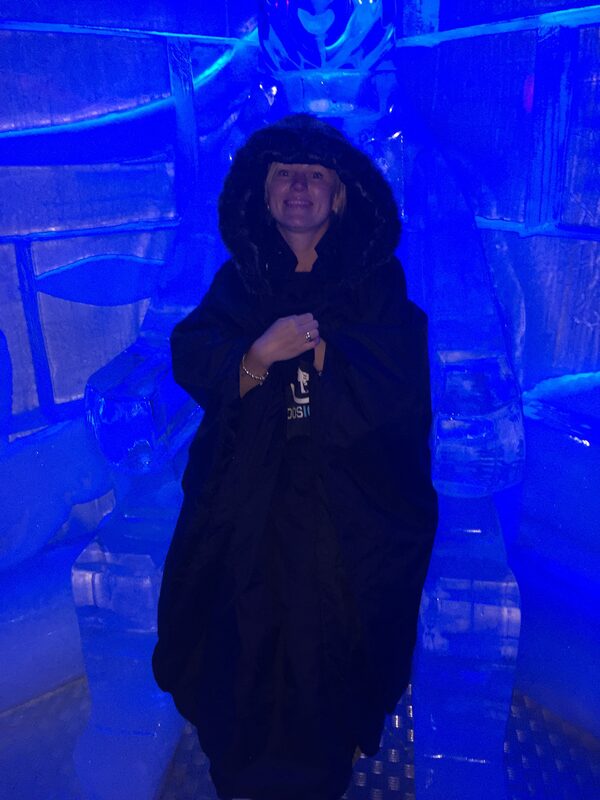 We had to put an extra layer of clothes, socks and we were given coats and gloves when entering the Ice Bar. We ordered ice-cold vodka shots as the ticket included a drink. 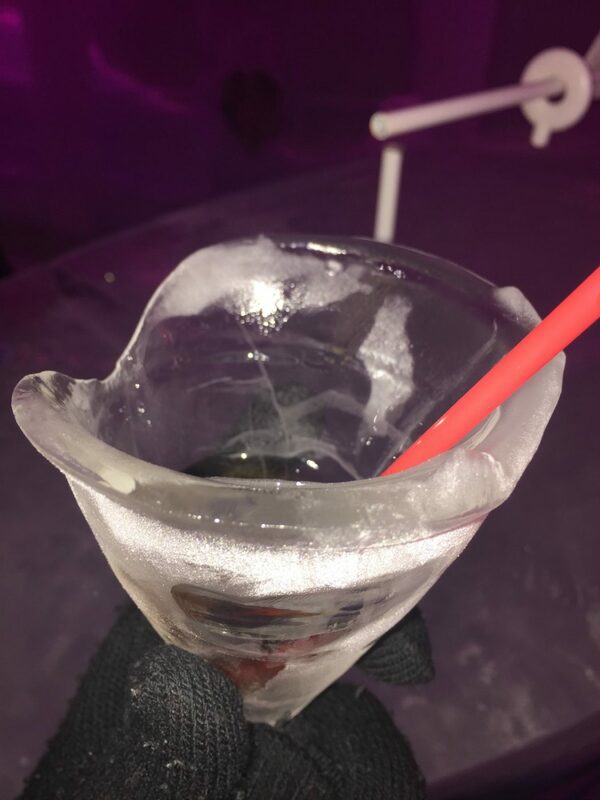 Drinks were served in cups simply made out of ice. 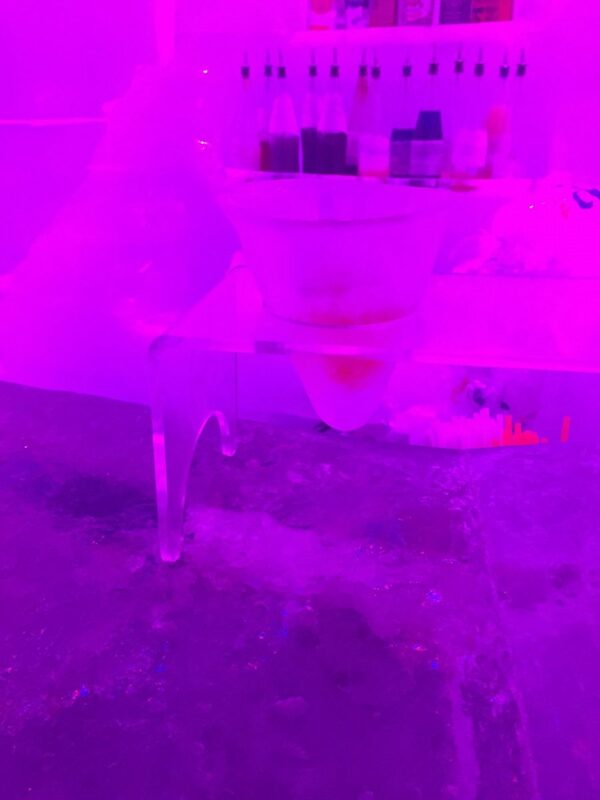 Everything was of course made of ice: the walls, seatings, statues, bar. The ice-room was amazing although not very big with a few ice statues. We had a few minutes laugh but did not stay long there as it was so cold. 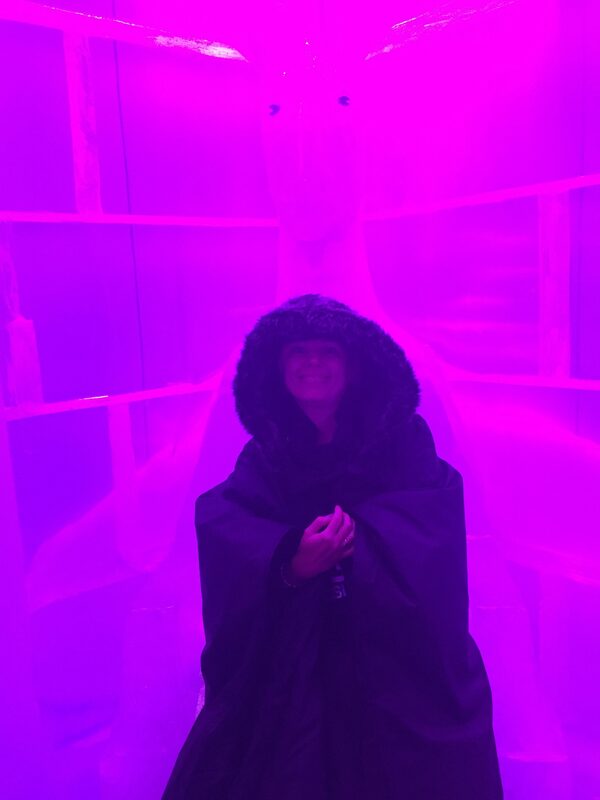 I loved it and hope this will interest you to visit Ice Bar because it is a very unique experience. 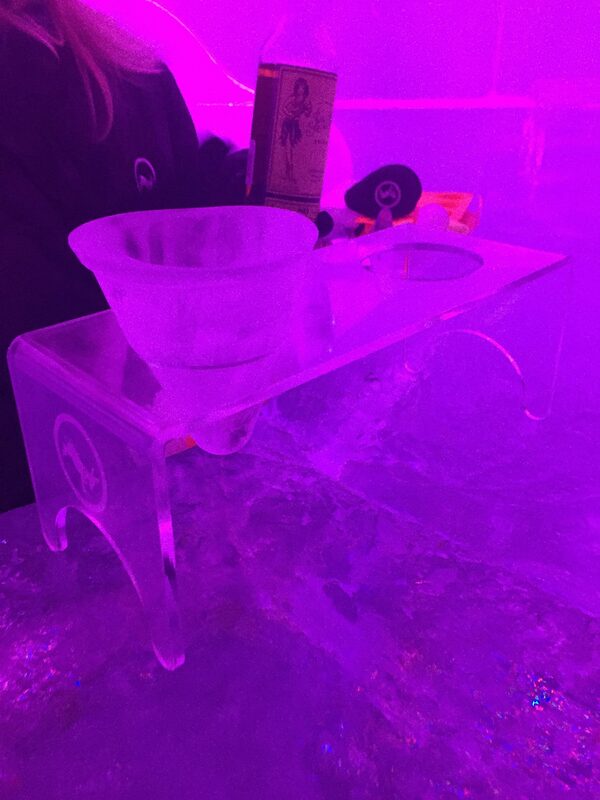 Below my pictures you will find links for more Ice Bars in Europe. 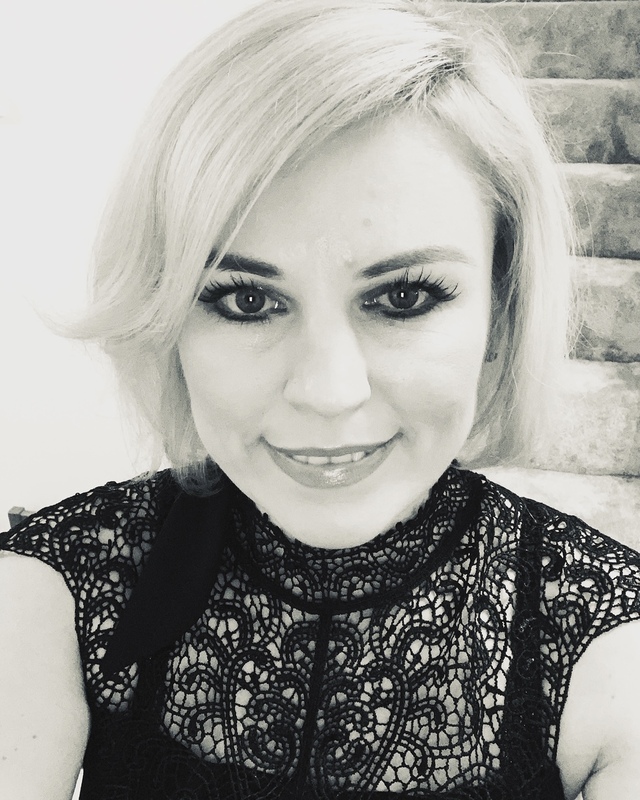 Have you been in any of them?